Jon rolls up with her Adventure Pet pack. We had always been a multi dog home but age brought attrition and since September Kate had been an only dog. She stopped smiling. When a friend spoke of Adventure Pet we investigated immediately. Troy and Jon came over and we talked about their program. Kate loved them immediately and it was an easy decision to try the outings. Kate hasn’t stopped smiling. She comes home tired and happy. We are picky to the point of darn near obnoxious when finding folks to work with our kids. Both of us have work that cuts in to daily hikes and we often felt bad about her lonely days. I doubt you could find a better group then Adventure Pet. They are honest, well versed in caring for dogs, and fun. No doubt we will have more dogs soon, bet they will smile too. I wanted to let you know that Dexter really enjoys his runs with Jon and the pack. When I tell him it is a day that Jon will come with the van, he immediately looks out the front window. The last time Jon came to pick him up, Dexter waited for him at the front of the run, rather than running away to hide. He still is very shy and Jon has been very patient with him. After his runs he seems so much more relaxed with life. I don’t think we will ever use mellow as a descriptor of Dexter behavior but there is a noticeable change. Anyway, thanks again for giving Dexter a chance. 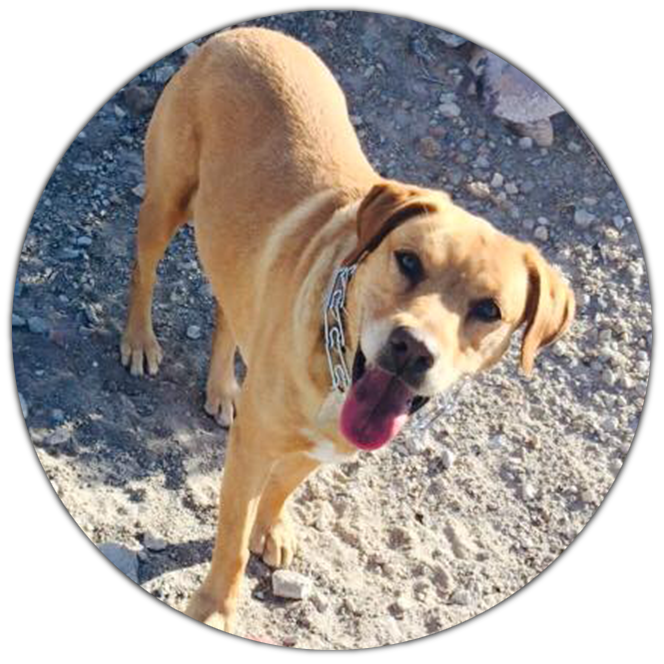 We think it is important to give you feedback after Shiloh’s first month with Adventure Pet and under the care of Jon Pettengill. Shiloh has changed over this past month. She has become a better listener. She will walk by me without a leash and when I ask her to slow down, she follows directions. Shiloh is eager for Tuesday and Thursday to arrive and as it gets closer to Jon’s arrival time those mornings, she will sit and look out the window. When I say at any given time, “Where’s Jon?”, she’ll look out the front window and then run to the door and let out an excited whine. The only other person she does that for is my son whom she dearly loves. Shiloh has dropped weight and has more energy and just plain seems happier. We appreciate the fact that Jon took special care in getting Shiloh up to speed knowing that she has arthritis and is a good 5 years older than the others in the pack. Also, we notice that it is easier this last week for her to get up after laying for a long period…..not as much hip pain. Everything we hoped for Shiloh to get out of Adventure Pet has happened and more. We just wanted you to know how happy we are with Jon and Adventure Pet. Have you ever had “that kid” that challenges you? That one “being” in your life that you love more than anything, and they make you crazy? Our Sweet Zephyr was born 5 years ago. She is a gorgeous German Shepherd that we obtained from a reputable breeder in Nebraska. From the minute she came to us, she was “special”. She was the youngest of our 3 dogs, and we loved her so much! She was timid and passive with the other 2 older dogs around the house….until we started taking her on walks. Once she experienced the daily walks, she became an addict!! She could not wait to get out every day. And when she was out and walking, she needed to run and run and run!! She was insatiable! As much as I tried to keep up with her needs and wants, it was really hard. Along with the 3 dogs, I have 2 teenagers and am the owner of a business that requires my constant attention. I have to admit that it was very stressful for me, as I could feel Zephyr’s need for more than I could give. 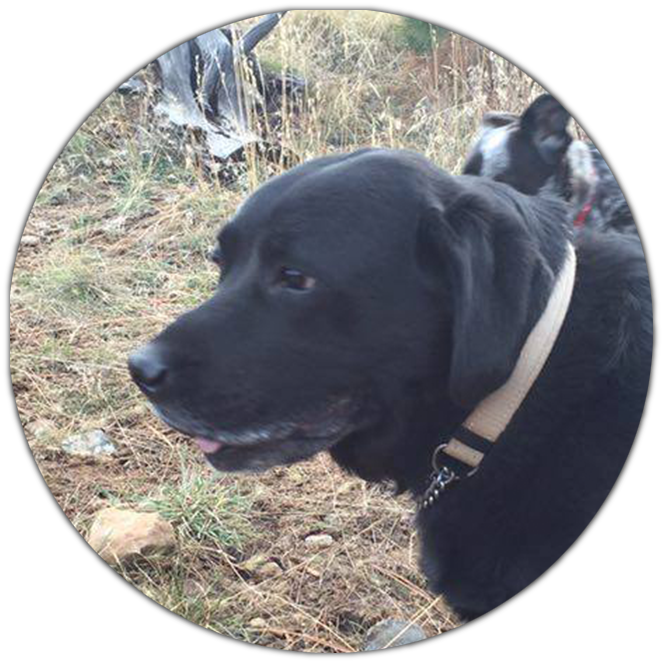 As I do when a need arises, I was looking for answers…..and along came Adventure Pet! I was lucky to know Troy and Stephanie Herrera before they revived Adventure Pet, and so I started watching their posts on Facebook. It looked like so much fun for the dogs, and I felt maybe it could be an answer for my Zephyr. 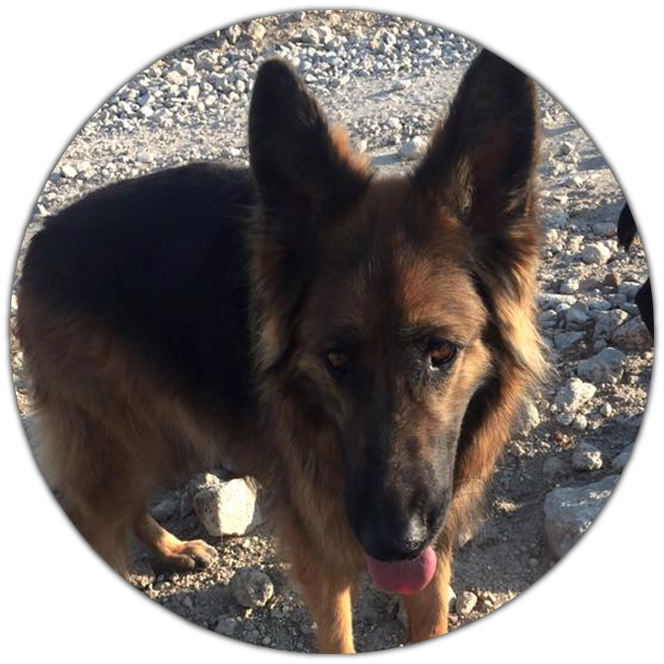 My fear was that she would not get along with other dogs that she did not know, and that is what kept me from calling for a while. However I finally gave in to my curiosity and called. 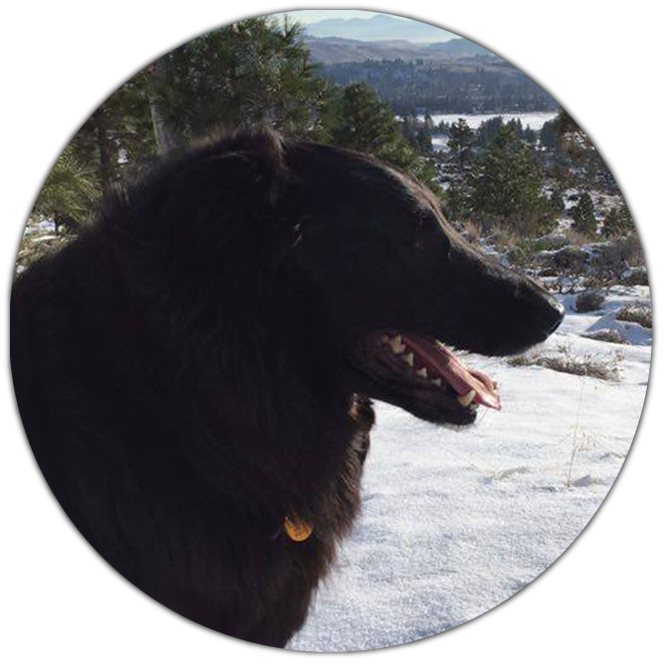 After visiting us in our home and easing my concerns, Zephyr started with Adventure Pet 2 days per week. That quickly turned into 3 days per week, and now Zephyr is a 5 day per week full-fledged Adventure Pet! She loves it, and I love it even more because she is so very happy and content at home. Eventually my other 2 dogs Gianna and Buster, who are much more laid-back, started with the program 3 days per week as well. They all love it, and the socialization and “pack” mentality is awesome! 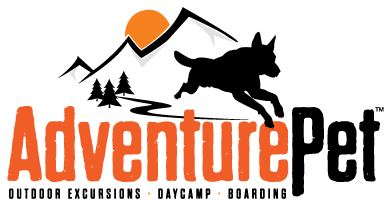 I would recommend Adventure Pet to anyone who has pets that they love and need additional help with! The difference it has made in our lives is dramatic, and we are a much happier family because Zephyr is calm and content, and getting to do what she loves and needs routinely. 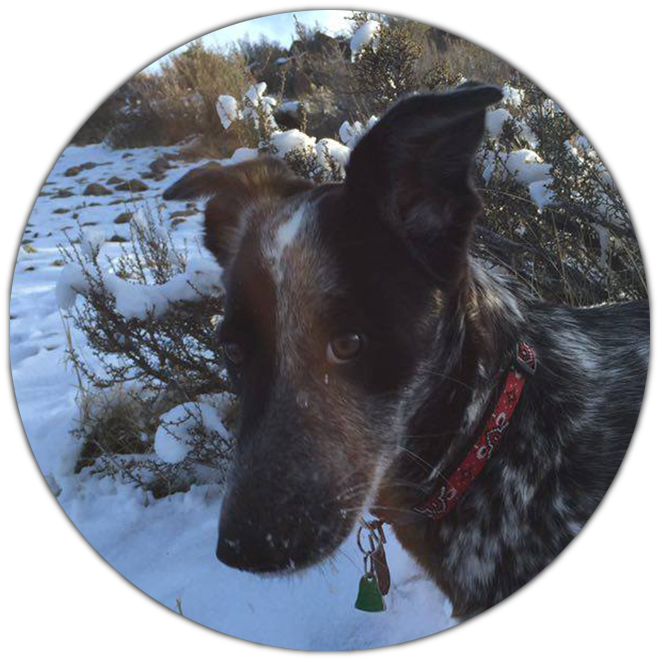 Adventure Pet is pure joy for our rescue dog, Maggie! Weekends without Stephanie and her new friends are so boring! And then, when we go back to work on Monday, Maggie sits by the door waiting as patiently as she can for the van to come. Maggie can be unpredictable and not always social with females. Adventure Pets has been AMAZING. Stephanie and Troy have understood her, loved her, and socialized her. When we moved to Reno in 2013, our one major concern was how Maggie would react. Finding Adventure Pets has proven to be a gift for the entire family! Just wanted to say “thank you!! 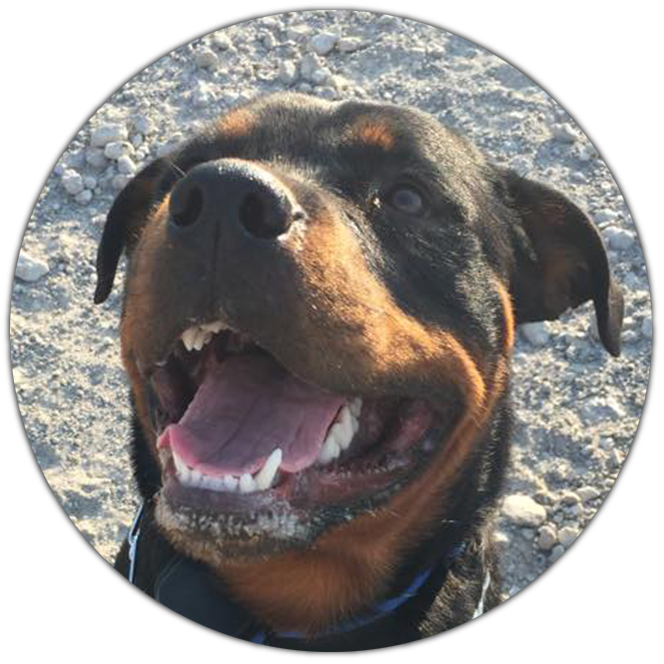 !” So happy Elvis is going out on adventures with you! I can see how much he loves it in his face & it gives me peace of mind that he’s getting exercised & playing with the other dogs in his group!!! I can’t give him this much exercise & I’m grateful you guys can. Elvis is looking forward to many adventures to come 😉 Thanks again!! Flynn & Finn are two high energy boys who needed a lot more exercise than we had the time to devote to them. Then we heard about Adventure Pet and decided to give it a try. 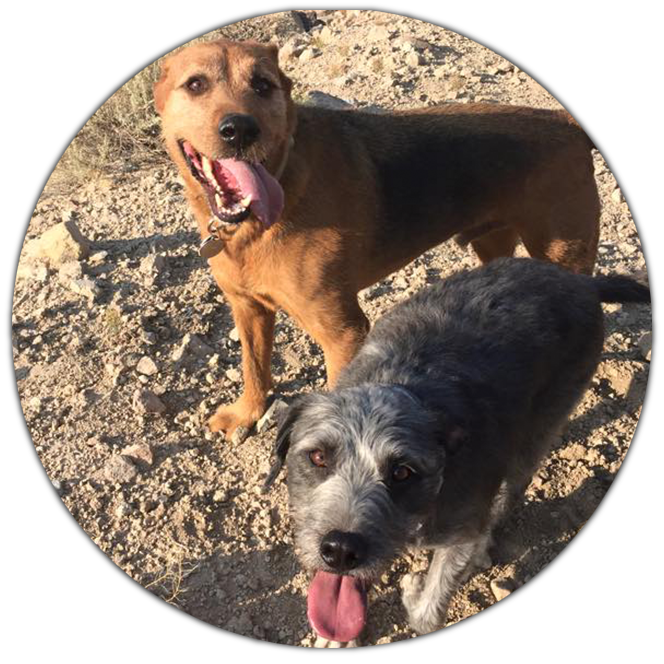 Now after just about a month of Tuesday-Thursday hikes, the dogs are besides themselves with joy when it’s a hiking day with Adventure Pet. They love Troy and being able to run with other canine pals. They come home exhausted but thoroughly content that they had another fun adventure. We may be adding on another day just because it makes them so happy to get out, run and play. Adventure Pet is the best!